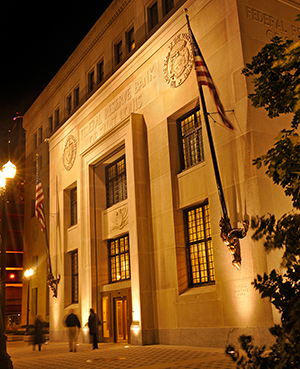 The Federal Reserve Bank of St. Louis and eabh will host a two-day conference for archivists and financial historians to present their current work in bank archives, including central bank archives, and banking and financial history. Archivists will present innovations in archival work and undiscovered gems in their collections. Financial historians will present their research based on materials from commercial bank, government, and central bank archives. The conference will provide both archivists and historians the opportunity to learn about the unique materials held in central bank archives, the current state of archival work, and insights into how scholars use these collections. Confirmed speakers include Harold James, Princeton University, who will give the keynote address, and Gary Richardson, University of California-Irvine and former Federal Reserve System Historian. In conjunction with this conference, a course from the Society of American Archivists’ (SAA) Digital Archives Specialist (DAS) Curriculum and Certificate Program will be offered as a pre-conference workshop at the Federal Reserve Bank of St. Louis on Wednesday, May 10, 2017. Pre-conference workshop registration must be completed directly with SAA, and not as part of the conference registration. Conference registration deadline if openings are still available.